All these methods make it easier to automate monitoring in their own particular way. We have built multiple ways to automate monitoring because there is not only one way to do it right. As usual in the IT field “it depends”. Depending on your infrastructure either one way or another may be the right way for you to automate your monitoring. With all this in mind we have created the Icinga Director 3 years ago. Director is a module for Icinga that enables users to create Icinga configuration within a web interface. 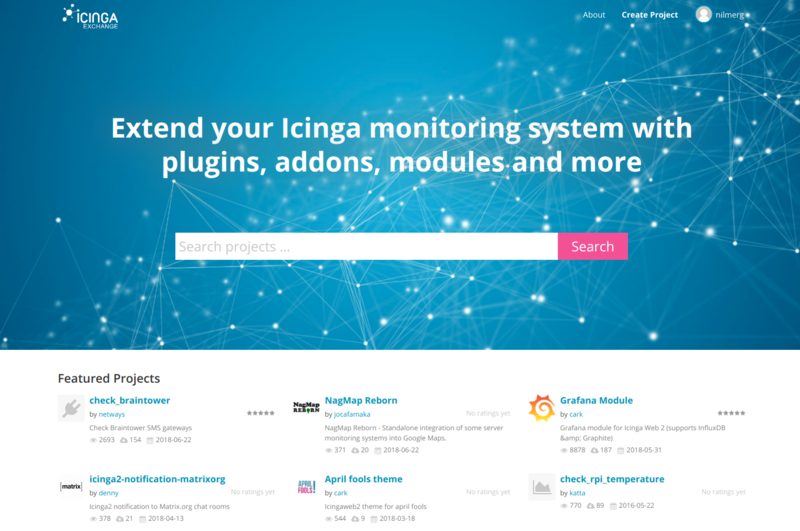 The Director utilizes Icinga’s API to create, modify and delete monitoring objects. Besides the plain configuration functionality, the Director has a strong focus on automating these tasks. It provides a different approach that goes far beyond a well-known static configuration management. With thoughtful features the Director empowers operators to manage massive amounts of monitoring objects. 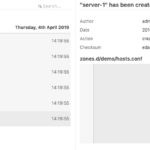 In this article I put my attention on the automation functionality of the Director, even though creating single hosts and services manually is also possible of course. In almost every company a database exists, or something similar, that holds information about the currently running servers and applications. Some use dedicated software to manage this information. Others use tools they have built themselves or rely on their config management tools. 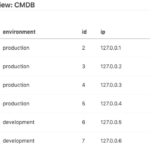 While most people refer to this database as a CMDB there are also other common terms. In theory only one database exists within an organization, allowing everyone involved to manage the information in a single place. In practice, most organizations spread the data across a number of different tools. While there are some professional approaches, there are also some not-so-professional ways of maintaining this data. Have you ever seen someone keep their IP addresses and locations of servers in an Excel file? We’ve seen it all. The Director contains a feature called Import Source. It allows you to import all kinds of data from many different data graves. The data does not have to be in the Icinga configuration format, the Director will take care of that later. For a start, you only need some kind of data. 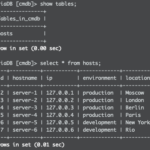 cmdb contains only one table hosts that holds everything I know about my servers. For demo purposes, this is perfect. 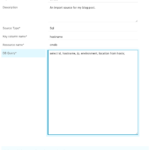 Creating the import source requires access to the database server. The credentials are stored in an Icinga Web 2 resource, therefore they are re-usable. After triggering a Check for changes you can preview the data set in the Preview tab. If everything that you need is included, you can trigger the import run which actually imports the data. For my import source I used the source type SQL which is built-in and available by default. You can use other source types as well, for example LDAP. That allows you to import not only objects that have to be monitored, but also users from your LDAP or Active Directory and use the contact information for alerts. Of course, you can also use other import sources, such as plain text files, PuppetDB, vSphere or AWS. New import sources are added to the Director as Modules, which you could also write yourself. Our lovely community is continuously extending the Director with new import sources as well, for example with import sources for Microsoft’s Azure or Proxmox VE. After a successful import I am able to continue with basic config synchronisation. 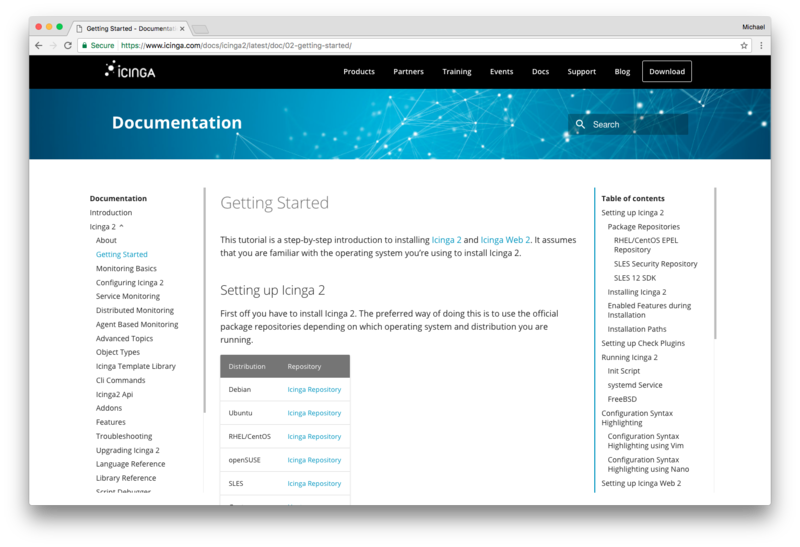 Syncing configuration means, that you use the imported data to generate Icinga configuration out of it. 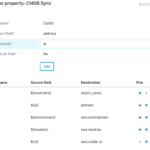 Generally speaking, you map your data fields into Icinga objects and properties. Some of the data I imported is easy to map, such as hostname and IP address. Icinga has pre-defined config parameters for those. Others, like the location and environment of the servers are mapped to custom variables. Custom variables are something like tags, but on steroids. They accept plain strings as values but also booleans, arrays and even dictionaries (hashes). I know, this sounds crazy. Custom variables are usually used to store meta information about your objects. This information you might later want to use to create rules which in turn define what should be monitored or who should receive alerts. Creating a new Sync requires some input and some decisions. You define what kind of monitoring objects you’re going to create out of your imported data. This can be Hosts, Endpoints, Services, User, Groups and so on. In my example I simply choose to create some host objects. Then you decide what should happen with existing monitoring configuration. Shall it be replaced with the new one, merged or ignored? 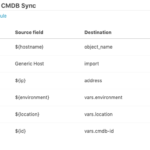 Once the Sync is created you can finally start to tell the Director how to map your data to Icinga configuration attributes. This is done within the Properties type by creating new sync property. For every column in my table I create a sync property. Have a look at the images for details. Checking for changes will only do a dry run to tell you if there are any changes available. 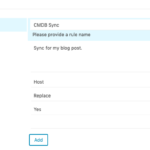 Triggering the Sync actually synchronizes the new configuration with the existing one and automatically creates new entries in Director’s activity log. At this point, everything is ready to be deployed to Icinga. 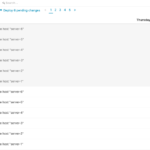 The Director’s activity log shows precisely what changes are waiting to be deployed to Icinga. Clicking on each element displays the exact diff between old and new configuration. This diff format may be familiar to you from Git for example. 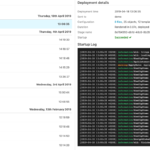 Another point that may be familiar is the whole history of deployments which you can see within the activity log. It contains every configuration change you ever made with the Director. It lets you travel back in time and deploy old configs if necessary. 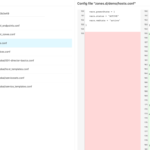 The Director’s history of deployments basically works like your Git history: You can do a diff between certain deployments to track the changes and see which user deployed which configuration at what time. The simplest way of deploying your new configuration is by just clicking Deploy pending changes. Your config will be pushed to Icinga and validated. If everything is fine it will be in production within seconds. If there’s anything wrong, you will receive a log with the details and your running configuration remains untouched. As I mentioned in the beginning, automation is a key aspect of the Director. 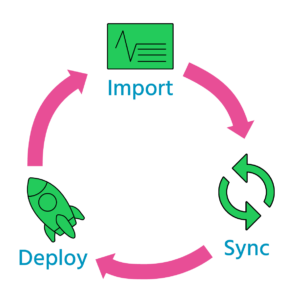 The steps described so far (Import, Synchronise and Deploy) can all be automated once they are fully configured. The automation is done by creating Jobs, with each Job running one certain task in a specified period. The frequency of a Job is freely configurable. It may run every minute or only once a day. You create a Job for each task or only for certain tasks. Hint: You can use a simple cronjob to run the Jobs. To fully leverage the Director’s Job functionality in the web interface, you have to start a separate daemon as described in the documentation. The workflow described above was only a sneak peek into the capabilities of the Director. This scenario however demonstrates very well the basic functionality and what you can do with it. There are many more features left out in this article like modifying imported data, merging data from multiple data sources, filtering or creating and using custom data sets. Managing and maintaining large server infrastructures is a very complex thing to do and there’s a good reason why whole teams are required to do so. I would lie if I told you that monitoring of such large setups is easy. But with the right toolset it is definitely doable! Check out the full Director Documentation to get started with your monitoring automation project. We will discuss the challenges of monitoring large infrastructure at the upcoming Icinga Camps as well. Join us for a full day filled with talks and discussions about and around Icinga. Meet new people and get to know others from the same field.